THE SOUTH African Police Services (Saps) has intercepted close to R1 million worth of smuggled cigarettes of Zimbabwean origin stashed at a house in Louis Tritchardt where a 30-year-old woman was arrested. Police spokesman for Limpopo Province Lieutenant Colonel Moatshe Ngoepe attributed the arrest to sound relations between the police and the community crime prevention structures. "Remarkable partnership between the Makhado Police and the Louis Trichardt community-based crime prevention structures continues to bear positive and meaningful results," he said. "Police after receiving a tip-off acted swiftly on Tuesday and raided the house where the cigarettes with an estimated value of R821 583 were recovered. "A joint operation between the Makhado Police members and the Louis Trichardt Town Watch made the arrest," Ngoepe said. 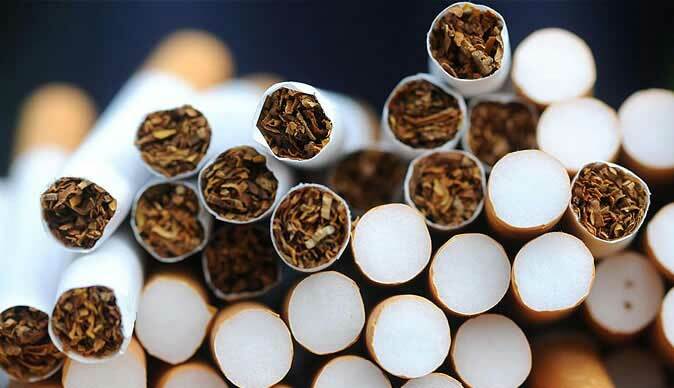 Although at a reduced level now, scores of cigarette smugglers have been buying cigarettes of Zimbabwean origin for resale in South Africa where it is then crashed and rebranded for resale to the lucrative Asian market. Zimbabwean tobacco is popular the world over. Ngoepe said the woman, who had the haul of Pacific Blue cigarettes in her garage was expected to appear in court soon. Meanwhile, a Zimbabwean man believed to be from Mphoengs in Plumtree, who was based in Hilbrow South Africa was found hanging in a high-rise apartment where he stayed with his wife and friends. The man whose identity is yet to be released reportedly left home at midnight after receiving a call and was later found hanging. It took more than eight hours to remove the body due the precarious position the man was hung with a piece of wire. Unconfirmed reports said the deceased had just won a huge prize money through betting, but his ticket was missing.